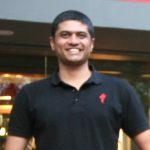 We’re nurturing our events page (bumsonthesaddle.com/events) to track and share all cycling events and rides in Bangalore to ensure riding miles are even simpler to achieve. 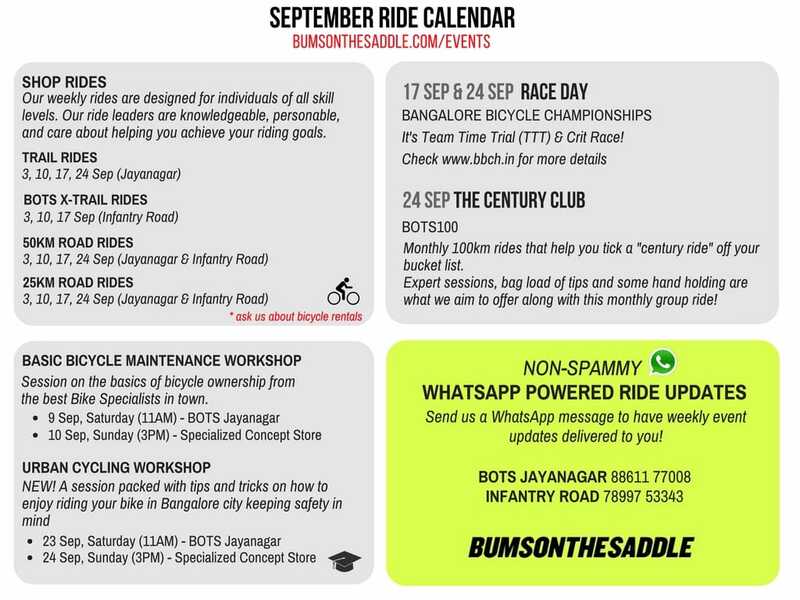 Keen to have your event shared with the Bangalore cycling community? Let us know! As a cyclist, completing your first 100km ride is always an exciting achievement. We’re super excited about the BOTS100 and how we can share that achievement with a ton of other riders. Do sign up for our weekly ride updates via Whatsapp. All you need to do is send a message to our Bike Shops via WhatsApp (BOTS Jayanagar: 88611 77008 & Specialized Concept Store: 78997 53343). Super simple!